Have some fun with these fantastic activity sheets! 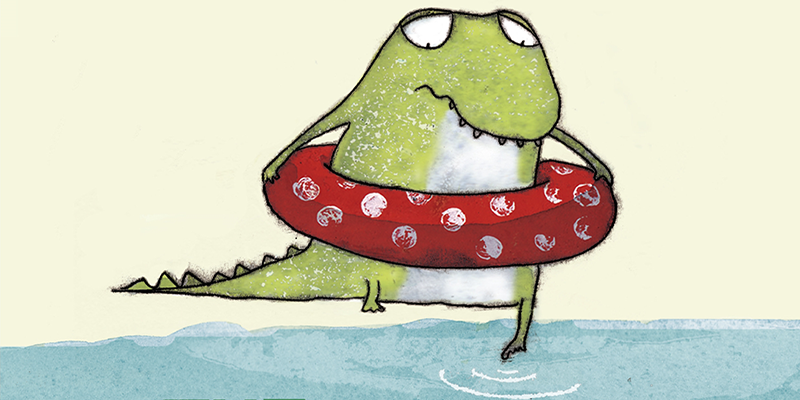 everybody knows that crocodiles love water, but this little crocodile is different. he doesn’t like water at all. in fact, he prefers climbing trees! but it can be lonely when you’re the odd one out, so the little crocodile tries his best to change. but being wet isn’t for everyone – and a shiver soon becomes a cold and the cold becomes a sneeze, a very hot sneeze… could it be that this little crocodile isn’t a crocodile at all? transform the crocodile into a dragon! can you colour in the flying dragon and his little crocodile friends?